Democratic Party of Georgia Officer Elections! Oconee Democrat Fashions Have Arrived! Rolling out our new site! Welcome to our new site! 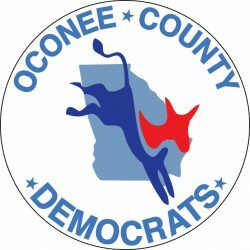 The old oconeedemocrats.net was, among other concerns, too close a miss to Oconee County, SC’s site at oconeedemocrats.com. We had some other, more technical reasons for rolling a new site, but that’s the reason for the name change!